BUTTON Wallet is the easiest way to start using cryptocurrency. We use a new way to use blockchain services via messengers. BUTTON Wallet is a multi-currency wallet based on Telegram messenger. With our wallet, users can do all operations with crypto like tokens/crypto sending, exchange. They can even use their @nicknames to send crypto, that’s way more simple. Because of our intergration with a popular messenger, our service has gone viral. We currently have more than 80,000 users just in 2 months! It’s a multi-currency wallet in messenger. We pay a lot of attention to privacy and security. Because of that, we developed our software product that made possible to store all the user’s data only on their phones. We don’t collect any information about private keys, and we don’t have any access to it at all. At the same time, we focused on the simplicity of UI: it’s effortless to use it. 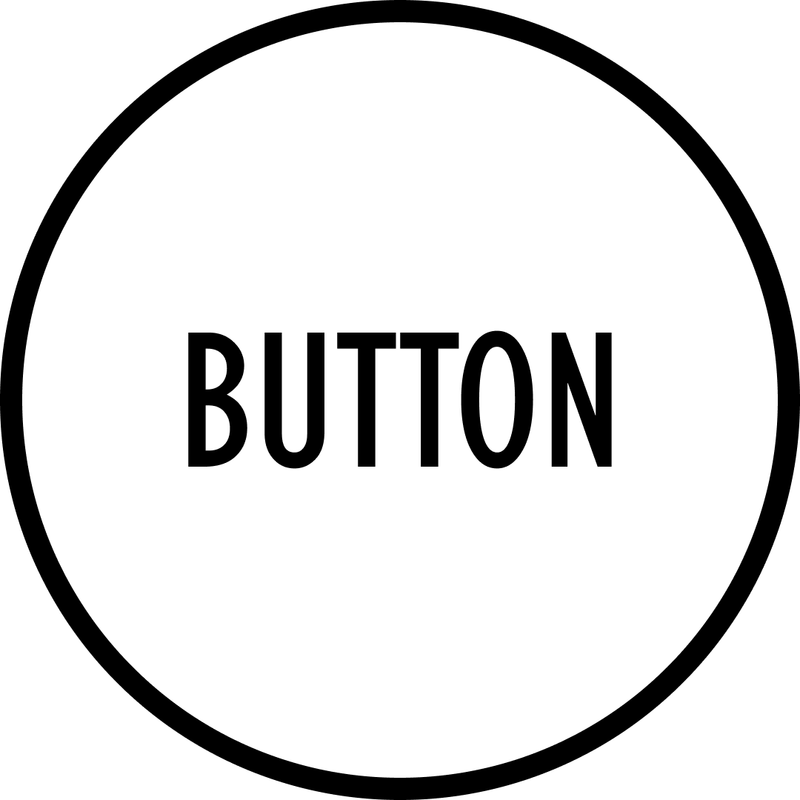 How did you come up with the idea for Button? The story of BUTTON Wallet starts at December 2017. Our head team met at one hackathon from Microsoft. We believe that usability issues are the most important ones. Right now it’s really hard to start using cryptocurrencies. So we start to develop the most user-friendly wallet which would allow us and other people doing transactions and exchange cryptocurrency with fiat money as easy as bank transfers like Venmo in crypto. We developed the first MVP for 3 days almost without sleep. After one month of developing, we launched a beta version of our solution and test our hypothesis about the marketing program. We bought advertising in Telegram Messenger theme groups and attracted 600 users for 3 days. But every user attracted 7 more because we launched a referral program. We gave them a little amount of cryptocurrency that they could transfer to their friends. And after one month we had already had 7000 users! During this time our team participated a lot in hackathons together. Our team is appreciated by the fact that we participate in large hackathons, where we implement complex and important functions of our project in a day or two. 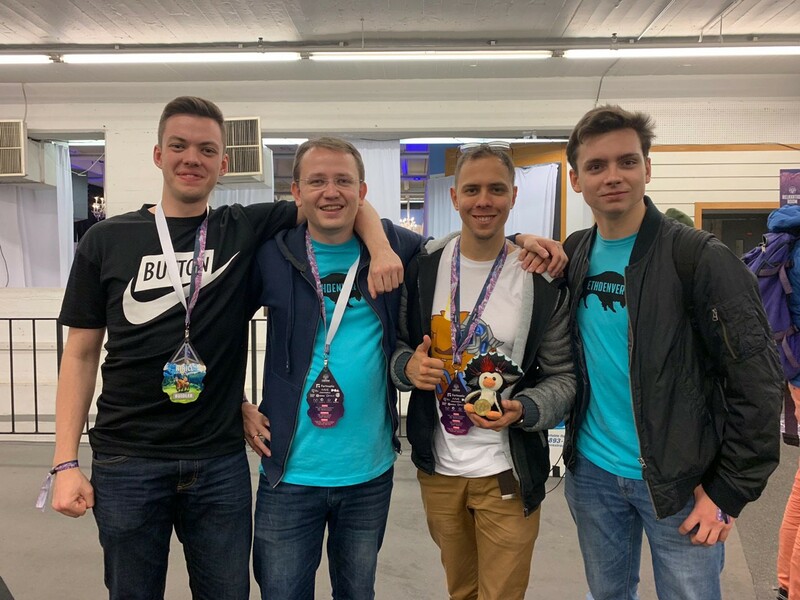 We won the international hackathons like ETHSanFrancisco (KyberNetwork nomination), ETHSingapore (b0x nomination), ETHDenver(Maker DAO, POA, ShapeShift, Celer and Rhombus nominations), ETHParis (ETHParis Finalist, Skale, ENS nominations). Let’s talk tech. What stands out as impressive with what you are doing? 1. We do not store users’ private keys (they are kept by the users themselves). All existing solutions store keys on the server. Attackers breaking into servers and stealing the money of all users. 2. Users store all the secret keys to each cryptocurrency in one QR code (picture), which is encrypted with their password. In other multi-currency solutions, the user has to store a lot of incomprehensible (for users) texts (secret keys). 3. Our bot is already installed in a regular messenger, which is used by people. This gives an advantage over web wallets and mobile applications with different interfaces. 4. Apps in GooglePlay and AppStore are often blocking. Our bot cannot be blocked because it is part of Telegram Messenger. 5. In our bot, you can exchange from one cryptocurrency to another cryptocurrency in a couple of clicks (using atomic swap technology). None of the existing wallets do know how. 6. Users can easily view their private keys and integrate their own when most services do not even show the user his private key (and store it on the server). 7. With our solution, you can buy and sell tokens and exchange cryptocurrency quickly and easily. In turn, to carry out such actions on the stock exchange, it is necessary to pass a complex registration and understand how to trade. The main feature of the project is a secure transaction signing library for easy clients. The code of which is open, which means attracting other developers interested in using the library to audit the code for security. We solve the problem of using cryptocurrency and blockchain for ordinary users. We also provide quick access to the operations of the majority of holders of cryptocurrencies that use Telegram. This will lead to the popularization of the technology and the expansion of the market, since the product we create has a minimalistic interface, a high degree of protection and is installed by default in your messenger. We believe that ordinary economic will be digital in the nearest future. And people will fear centralized structures because every day we can see news about lots of centralized companies that lose money from their client because they have one point of failure. But nowadays decentralized economics seems not ready for ordinary people. It’s hard to understand cryptography and mathematics for them. What is why we are solving the problem of entering ordering people to decentralized digital economics to do this world more safe and calm. What is the BUTTON competitive advantage? The wallet is based on Telegram Messenger because 90% of crypto holders use Telegram every day! Telegram is also the fastest growing messaging platform with a very large user base. We are the new way of user attraction to exchanges: From messaging platforms with new target audiences like Telegram. What made you turn to ETC Labs for support, and what are your expectations from this collaboration? We think that we have the same vision as Ethereum Classic. 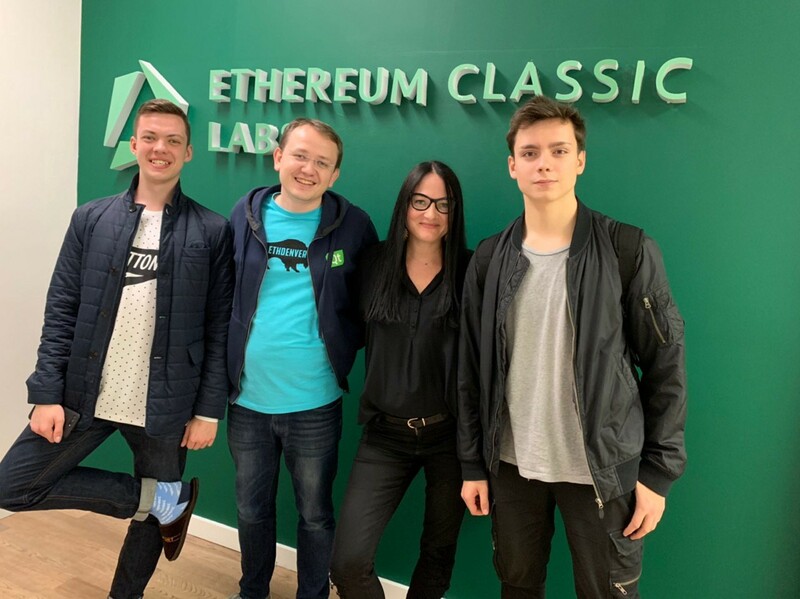 ETC Classic has a great reputation and a strong community. We think that it will help us attract users with the same values. We just finished building our crypto — to — crypto exchange (you can read more about it in this article). Our next step will allow us to increase access for common users to the blockchain sphere: In one month, we will be done with our crypto — fiat exchange!